US-based ratings agency Fitch Ratings has downgraded Brazilian airline TAM S.A's (TAM) credit ratings. The company's foreign and local currency long-term Issuer Default Ratings (IDRs) went down from 'BB' to 'BB-'; its US$ 300 million senior unsecured note due to 2017 was also lowered from 'BB' to 'BB-'. Moreover, the firm's long-term national rating is now 'A-(bra)'. It used to be 'A+(bra). 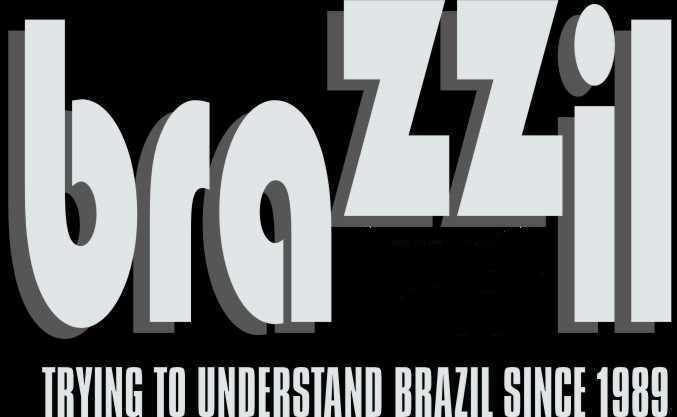 Additionally, the 500 million Brazilian reais debentures issuance due 2012 was downgraded to 'A-(bra)' from 'A+(bra). The Rating Outlook for the long-term corporate ratings is Negative. The downgrades reflect the deterioration in TAM's credit profile, a result of the combination of high leverage and greater use of its formerly robust but still satisfactory liquidity position to finance its business. The maintenance of the Negative Outlook reflect concern about the severity and duration of the slowdown of demand for air transportation in Brazil and the resulting impact in TAM's credit and operational metrics (load factor and yield). The company's challenge during 2009 will be to manage the fall in demand with intensified competition. Within this context, the company will also have to generate enough cash flow to support the negative impact of extraordinary capital disbursements to settle fuel hedge contracts without significantly deteriorating its liquidity position. TAM's ratings continue to reflect the company's 50% domestic market share and its 87% share of the international market (considering only Brazilian carriers). The ratings also take into consideration the company's satisfactory liquidity position as an important support for the volatility in its business and a manageable debt profile during 2009. As of December 31, 2008, TAM had 8.1 billion reais of total debt, comprised mainly of aircraft leases and capital market operations. The company's total adjusted debt was 11.1 billion reais. This debt includes off balance sheet operating leases of 3 billion reais. About 93% of TAM's total adjusted debt was denominated in U.S. dollars or linked to the dollar. With about 35% of its revenues tied to the dollar, the company does not hedge the currency of its debt. TAM's EBITDA grew to 1.613 billion reais during 2008 from 1.214 billion reais during 2007. The company was successful in mitigating higher oil prices during the past year and was able to increase its RASK-CASK spread to BRL 1.2 cents from BRL 0.9 cents in 2007. As a result, the company's EBITDAR margin increased to 15.2% from 14.9%. TAM continues to maintain a growth strategy, expecting a market recovery in 2010. As a result, the company has not revised its fleet plan and is expected to add three new aircraft in 2009, translating into an 8% increase in its capacity in the domestic market and 20% internationally. Fitch expects that in 2009 TAM will experience deterioration in operating margins due to a fall in the company's RASK. The gradual liberation in international fare prices by the Brazilian Government adds further pressure to the company's ability to sustain profitability. The efficiency in controlling costs and capital expenditures, coupled with marketing strategies to promote demand and an efficient yield management policy will be crucial to avoid losses in this scenario. Capital expenditures amounted to 831 million reais during 2008. At the end of 2008, TAM had 1.914 billion reais of cash and marketable securities and 928 million reais of on balance sheet short-term debt. TAM's liquidity position is expected to be pressured in 2009 by settlement of fuel hedge derivative contracts that totaled 1.2 billion reais at the end of 2008. In March, the company announced the renegotiation of its hedge contracts, changing the payment profile by extending some of the maturities from 2009 to 2010. Assuming an average cost of the WTI barrel at US$ 55 Fitch expects that TAM will incur expenses of about BRL700mm in 2009 and BRL400mm in 2010 to liquidate its hedging position. TAM S.A (TAM) is a holding company that operates through its wholly owned operating subsidiaries, TAM Linhas Aéreas and Mercosur. With 129 airplanes, it provides regular air transportation services in Brazil and overseas. TAM is the leader in the Brazilian market, with a local market share of about 50% and 37% of the international market. The company provides nationwide coverage, directly serving 47 destinations in Brazil and another 34 through regional alliances with other airlines. TAM flies direct to 17 international destinations and offers connections to several other international destinations through code-share agreements with Air France, LAN, TAP and Lufthansa, among others and is a member of Star Alliance. How Is Brazil Racist? Let Me Count the Ways.